Austrian Economists are harsh critics of government central banks (such as the Federal Reserve System of the United States – a name intended to obscure its role as a central bank, unlike the Bank of England). Austrian Economists can also be very critical of fractional reserve banking, the practice of lending money in greater quantity than the amount of deposits. For these reasons, Austrian Economists could be expected to be enthusiastic supporters of Bitcoin. Unfortunately, this is usually not the case. Cryptocurrency, Bitcoin in particular, presents a formidable challenge to the world-wide socialism by which governments control the means of production of money. The ferociousness with which the US government defends its monopoly on money could be demonstrated by the 2011 sentencing of the producer of Liberty Dollars (coins made of precious metals that could be exchanged as commodities) to 15 years in jail ― accusing him of “domestic terrorism”. No more has appeared on the subject of Bitcoin in Mises Daily since that time. I believe these articles contain many erroneous arguments, which I wish to address. The major objection to Bitcoin by Austrian Economists seems to revolve around whether Bitcoin is money. The claim by many Austrian Economists is that money can only arise from what is the most saleable or marketable commodity: the so-called “regression theorem” of Austrian Economics. There is certainly truth to the claim that money has historically arisen from commodities, but that is history, and cannot be used as a litmus test for money-ness. What matters is whether the reputed money can be used as a medium of exchange. But if an original commodity value for Bitcoin needs to be specified in order to regard it as money, I would speculate that some computer techies placed a value on Bitcoin as being a breakthrough in money technology. And computer techies enjoy being early adopters. The commodity value that these early adopters gave to Bitcoin led to an exchange value for other people who did not have the original commodity value preferences. That would be a strained argument to justify Bitcoin in terms of the regression theorem. Although it is hard for most economists to imagine a medium of exchange not arising from a highly liquid commodity, I believe that Bitcoin started out as an invention intended to be a new form of money. New technologies require new ideas, which in this case should mean a reexamination of the regression theorem. Precious metals became money largely because they are the most corrosion-resistant materials ― as well as because of rarity and divisibility. Gold and silver became highly marketable because of these features rather than the opposite: that gold and silver became money because they were highly marketable. For most of human history the bulk of humanity has been more interested in food and shelter as marketable commodities than in jewelry or works of art in precious metals. The bulk of humanity would not have such interest in the “beauty” of precious metals to make those metals highly marketable were it not for their use as money. Austrian Economists recognize that value is subjective, so the subjective valuation computer techies had for Bitcoin should count for no less than the valuation of the beauty of precious metals by those wealthy enough to acquire luxury goods. Neither precious metals nor cryptocurrency can have an objective intrinsic value apart from the subjective valuations of some group of humans. Any group of humans can decide whether to use something as commodity. Precious metals are bulky and inconvenient to use, which is why people have preferred paper certificates for precious metals. Sadly, the convenience of paper over precious metals led to fractional reserve banking, and ultimately to the fiat currencies used as money today. Does the “regression theorem” justify the money-ness of fiat currencies? Fiat currencies are “backed” by legal tender laws ― by government guns and prisons. The argument that money must be material cannot even be justified by reference to paper currency and coins. Paper currency and coins account for no more than a tenth of American fiat money. Monetary transactions involving fiat money are dominated by checks, credit cards, and online payments. Paper money and coins may well become completely obsolete in the coming decades as financial transactions become increasingly digital. The US government now only allows businesses to pay their taxes electronically ― even checks have become obsolete for this purpose. Is Bitcoin money? With Bitcoin you can purchase airline tickets (from Virgin Atlantic), hotel bookings (from Expedia), automobiles (from Tesla), electronics (from Tiger Direct), as well as products from tens of thousands of other merchants. Admittedly, most of these merchants will very quickly convert the bitcoins obtained in the transactions to fiat. Some Austrian Economists have also claimed that Bitcoin cannot be money because it is not a “final means of payment”. Other Austrian Economists argue that being a medium-of-exchange is not a sufficient condition for being money. I have been more persuaded by the latter argument. The US Dollar value of all outstanding bitcoins is currently about $8 billion. Numerous immigrants send bitcoins instantly to their relatives overseas, thereby avoiding the 10-15% bank fees and the five day delays of bank wires. 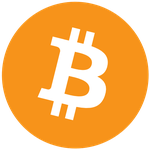 These immigrants purchase bitcoins as a commodity to reduce their transaction costs, just as someone might buy a cash register to reduce transaction costs. Actually, for immigrants who are unbanked, there may be no alternative means of transferring their money abroad. Such fiat currencies as the Moldovan leu, the Ethiopian birr, and the Vanuatu vatu can’t compare to Bitcoin in terms of world-wide use and acceptance as money. But it isn’t only immigrants who use Bitcoin to reduce transaction costs. The investment banker/Austrian Economist Peter Schiff was a harsh critic of Bitcoin in 2013: My Open Letter to Peter Schiff. The claim that Bitcoin cannot be money because it is too technology-dependent is also fallacious. Credit cards are technology-dependent, yet are now more widely used for financial transactions than paper currency. Half of the financial transactions in the African country of Kenya are by means of the cell-phone-based M-Pesa. Cell phones have become universal. People throughout the “underdeveloped world” have cell phones, despite having no bank account, no credit card, and no credit rating. When smartphones become universal in a few years, Bitcoin will be easily accessible worldwide. In my opinion, the underlying reason many Austrian Economists are hostile to Bitcoin is because they are “gold bugs”. In my opinion these Austrian Economists are not much better than the Keynesians who insist that money must be fiat so that central banks can manipulate interest rates. In a market economy it is the market that chooses optimal solutions. If legal tender laws are repealed, the market will determine the best medium of exchange ― which could be precious metals, a basket of commodities, Bitcoin, or some other cryptocurrency. But Bitcoin may emerge as money even without legal tender laws. To give credit where credit is due, there are some Austrian Economists who are very pro-Bitcoin, and their number is increasing. Jeffrey Tucker was initially skeptical, but has since become an enthusiastic promoter (as anyone can see who looks at his Liberty.ME website. Two other erudite pro-Bitcoin Austrian Economists are Peter Surda and Konrad Graf. The most representative article by Peter Surda is “The origin, classification and utility of Bitcoin,” and the most representative article by Konrad Graf is “On the origins of Bitcoin: Stages of monetary evolution.” These Austrian Economists argue that the anti-Bitcoin Austrian Economists don’t understand the regression theorem. In the early stages of Bitcoin, bitcoins were accumulated by the developers as part of their experimentation, becoming something of a status symbol of points in a computer game or website, but with the intention of possibly becoming a medium-of-exchange. That intention eventually led to attempts to use bitcoins for that purpose. As such attempts increased, so did the liquidity. Liquidity is a prerequisite for becoming a medium-of-exchange. Graf compares bitcoins achieving commodity value starting as a status symbol to the historical evolution of money from beads on a necklace and later gold and silver. These items did not have much value apart from durability and beauty, but eventually became valued for their use as media-of-exchange. This argument is quite distinct from the justification of bitcoins as having commodity value because of reducing transaction costs — a commodity value which is unrelated to the regression theorem (emergence of bitcoins as commodity to bitcoins as media-of-exchange). Although an argument can be made that bitcoins gained value as experimental tokens and status symbols, I think the “barter” history of Bitcoin (starting with the May 22, 2010 pizza purchase for 10,000 bitcoins) was highly motivated by a “social compact” amongst a community of computer geeks who had a prospective medium-of-exchange, wanted it to become a medium-of-exchange, and played with it as a medium-of-exchange until it became a medium of exchange. I think it is incorrect to say that Bitcoin arose from a commodity as Rothbard would describe it. Bitcoin is not something Rothbard or the earlier Austrian Economists could have imagined. I have been irritated by the claim that bitcoins are a medium-of-exchange, but are not money. I now accept Graf’s definition of money as “the most liquid good in a given society context” and thereby used as a unit of account (basis of pricing goods). Even in cyberspace, fiat currencies are the ultimate unit of pricing — bitcoin unit pricing is still derived from fiat pricing. Bitcoin was the first cryptocurrency, and therefore currently has market dominance. But Bitcoin has flaws which many of the newer cryptocurrencies have corrected, such as the concentration mining amongst those with ASIC computers (and low electricity costs), the ten-minute confirmation time, the public block chain, the declining reward for mining, the “waste” of electricity associated with proof-of-work, etc. Let the market choose the preferred medium of exchange. Competition among types of money will allow for the most efficient medium of exchange. That may happen whether or not legal tender laws are repealed and the socialist/fascist control of money can be ended. I would not deny that cryptocurrencies have problems that need to be resolved before they can be more widely used as money, but this is understandable insofar as the technology is new. The status of cryptocurrencies has justly been compared with the status of the Internet in the 1990s. The American government tried to treat cryptography as a restricted munition subject to government regulation, but the demands of online commerce and government ineffectuality at control predominated. Cryptocurrency prices are currently too volatile for them to function well as a medium of exchange, and the technology for making loans with cryptocurrencies has not been well-developed. Such problems will likely be resolved. Bitcoin and cryptocurrencies cannot be eradicated by government prohibition any more than prohibition of alcohol prevented the use of alcohol. Unlike Liberty Dollar, there is no central responsible agency for governments to attack if they wish to ban cryptocurrencies. Making cryptocurrency ownership illegal would be much more difficult than was the case when gold ownership was made illegal. The major vulnerability for cryptocurrencies lies in the exchanges: the financial institutions that exchange cryptocurrencies for fiat currencies. Exchanges cannot operate legally without government licenses. Until there is more widespread commerce in cryptocurrency, most people will acquire their money as fiat, and must purchase cryptocurrency with the fiat. The other major vulnerability is taxation. Current Internal Revenue Service regulations treat cryptocurrencies as equities subject to capital gain tax. Cryptocurrencies may be forced to evolve underground or overseas before they can prevail openly in the United States. I am hopeful that cryptocurrency will eventually displace fiat money. I believe that this will happen first in countries of the “underdeveloped world” where central banks engage in the most reckless inflationary policies. I believe that cryptocurrency will displace the US Dollar and the Euro as a world reserve currency. Eventually governments of “developed countries” will have no choice but to repeal legal tender laws, abandon the fascism of central banking, and succumb to the new world of money. I am also hopeful that Austrian Economists can learn to appreciate the extent to which cryptocurrencies represent an unexpected and unprecedented challenge to central banking and fractional reserve banking. I am hopeful that Austrian Economists will begin to see how cryptocurrencies vindicate the principles of Austrian Economics. The cryptocurrency community is looking to Austrian Economics as an inspiration for their practices. I hope that Austrian Economists can be convinced to assume intellectual leadership, rather than be reactionary naysayers. The arguments are straightforward, but too many Austrian Economists contort themselves trying to decide if Bitcoin is a commodity or are too attached to gold to appreciate how much technology can transform the world.